These fabulous Art Blocks can really unleash your creative talent. We developed this product by combining two existing and popular finished products, the Canvas Wrap Round (being the base with your background image on) and our Coloured Edged Blocks showing your main image(s). These are then magically adhered to the base with a tiny gap between to create the floating effect. 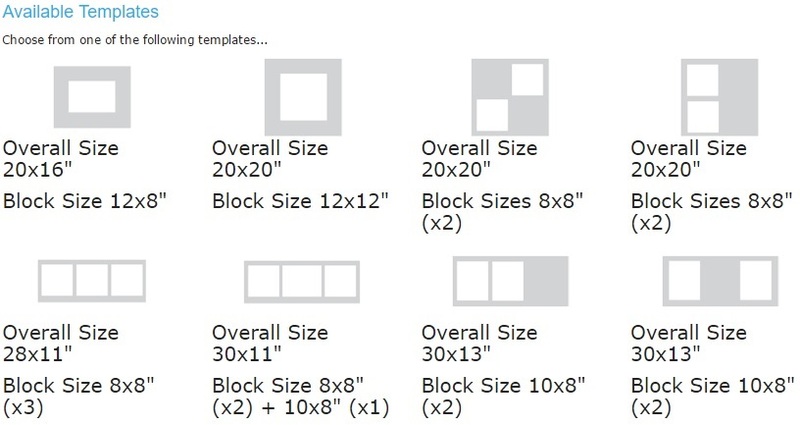 With 8 templates to choose from the only restriction is your imagination. Irresistible!